At no extra cost to you, you can create a school tuition scholarship for Kent. Kent is 15 years old and attends 10th grade at Pieceful Solutions school. He is always happy, easy to get along with and has an endearing personality. He is very social and is excited to go to school every day. At the end of 8th grade, he received the Award of Excellence for “most likely to greet you in the morning with a smile.” At the end of 9th grade, he received the “Pieceful Solutions Award” which is for the student who epitomizes the mission and vision of the school. He loves music, dancing, and nature, especially the ocean. Kent has participated in numerous performances with the Pieceful Solutions choir and is a member of Student Council. Due to the fact that he was not diagnosed with autism, but rather William's syndrome, he is not eligible to receive the scholarship funds that most students with autism can receive from the State of Arizona. Please consider redirecting your Arizona state taxes to help keep Kent at Pieceful Solutions where he is thriving. Arizona allows you to turn your state taxes into tuition scholarships for Kent at Pieceful Solutions School. 100 % of this contribution can be taken as a tax credit against your Arizona state taxes. We have included a short video to help show you how easy it is. Rather than simply paying your taxes, you can choose to redirect your taxes to a Student Tuition Organization and help Kent. 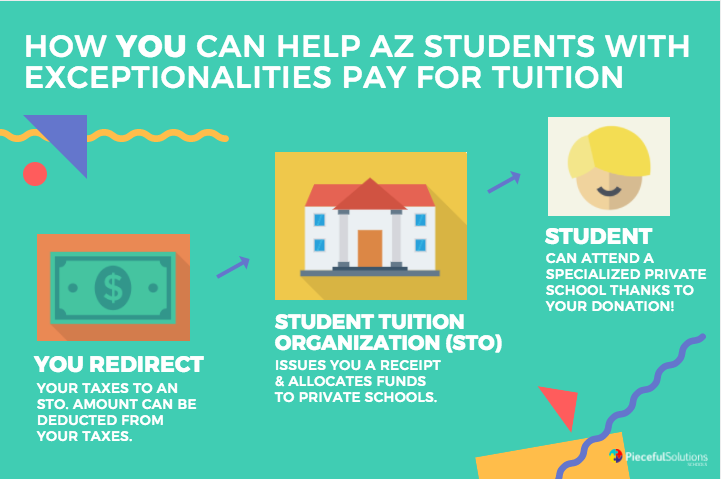 Arizona allows you to turn your state taxes into tuition scholarships for kids in private schools. 100% of this contribution can be taken as a tax credit against your Arizona state taxes. Every dollar claimed as a tax credit cancels any dollar owed to your taxes! By redirecting your taxes, you can help Kent receive the education he deserves, and also know exactly where your tax dollars are going! S-Corps and C-Corps can redirect their tax dollars too. 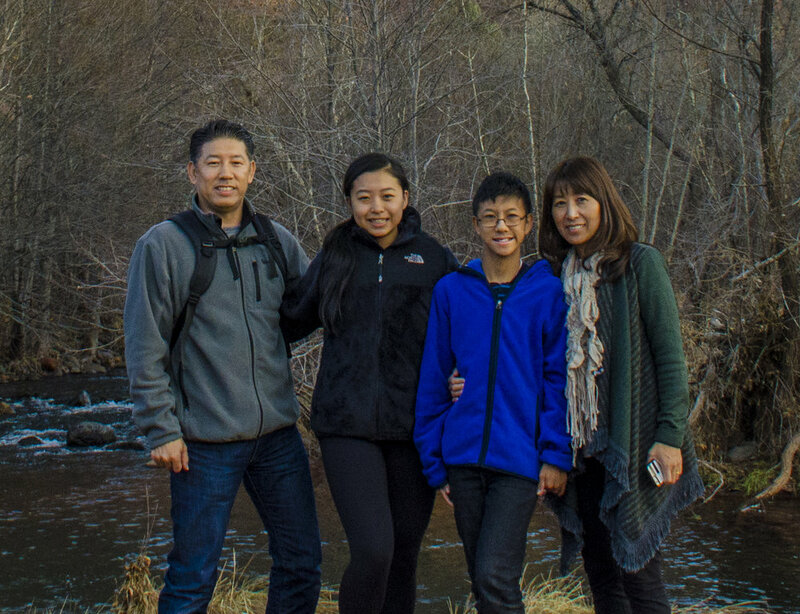 On Behalf of the Ueda Family, Thank you.